Imagine that you are in a room taking a test. In which situation are you most effective, freaking out and worrying about the test or being calm and realizing that everything is going to be fine? The answer to this is yes. I have a question for you. If your loved one gets sick do you try to get as sick as you can to help your friend? 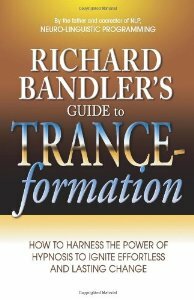 Even the father of NLP, Richard Bandler, who wrote the book, Richard Bandler’s Richard Bandler’s Guide to Trance-formation: How to Harness the Power of Hypnosis to Ignite Effortless and Lasting Change , agrees with me. He states that the most important part of being an NLP practitioner is for the NLP practitioner to get into the feeling they want their client to get into first. Being in a positive state is also very important when I am coaching. When a client of mine is frustrated, sad, or angry with their situation, I do not meet them in their negative feelings. Instead, I keep feeling good and viewing them as a whole, capable and healthy human being who can figure it out. I am being positively selfish, because I am putting my feelings first. When I put my joy first then I can best serve my clients. Just like with the test, I am at my most effective as a life coach when I am feeling good about the situation. I am not adding my negative emotions to their already negative emotional self. I cannot feel bad enough to make them feel good. Yes, be selfish. Feel as good as you can so you can be more effective when you help people. Clean up your baggage so you do not add more baggage to someone’s load. With infinite wisdom of the source of who I am, I feel joy in any situation so I can best serve humanity for the benefit of all beings. What is your intention on feeling good? 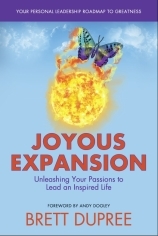 More info on writing intentions to change your life is available in my free eBook.